It’s National Sports Day! August 29 is celebrated as the National Sports Day in dedication to the hockey legend Dhyan Chand.
. August 29, 1905 was the day when India’s greatest hockey player was born in Allahabad, Uttar Pradesh. The day is celebrated mostly in schools, colleges and other educational institutions to highlight the importance of sports in the everyday life of individuals. Apart from commemorating the great Hockey wizard Dhyan Chand, the day is also considered to be an occasion for encouraging youngsters to take up various sporting activities as a profession and make a name for not only themselves but for their country as well. Prime Minister Narendra Modi on Sunday, during his "Mann Ki Baat" radio address, said a lot of things about the just concluded Rio Olympics and the Indian athletes who made a stellar performance. 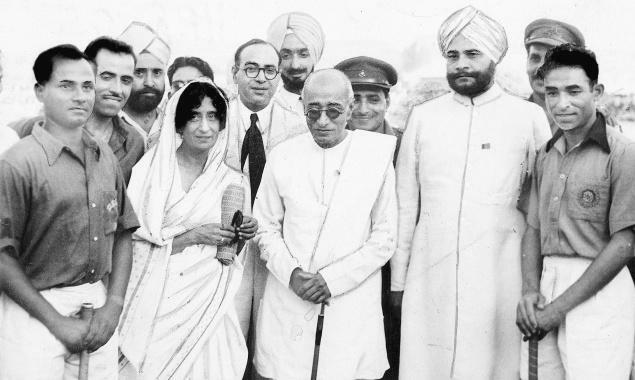 However, he started his speech by addressing hockey wizard Dhyan Chand, reminding the nation that August 29 was the day this sporting legend was born in 1905, and hence this day was celebrated as Rashtriya Khel Diwas. 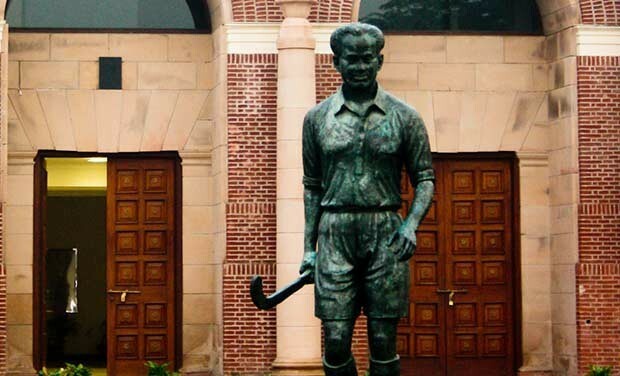 Dhyan Chand is widely considered to be the best hockey player of all time. His goal scoring ability was phenomenal and the opposition defenders were often made to look like sitting ducks in front of this wizard from India. 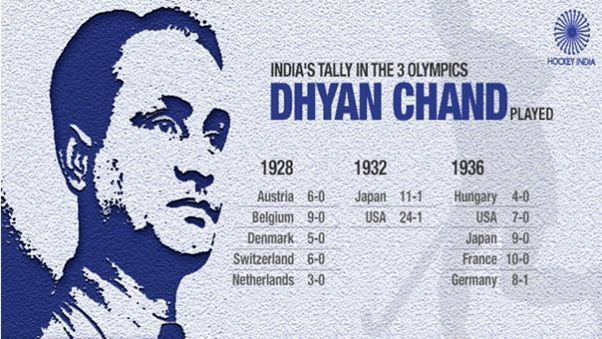 Now, everyone knows about the greatness of Dhyan Chand, but did you know about these interesting facts about The Wizard? His real name was Dhyan Singh. His fellow players used to call him Chand because he used to practice a lot during the night, after his duty hours in the army. It is also said that he used to wait for the moon to come out for visibility on the ground. Talk about glowing in the dark! During the Olympic finals against Germany in 1936, in the 2nd half of the match, Dhyan Chand removed his spiked shoes & stockings and played with barefoot. He managed to score three goals without shoes! 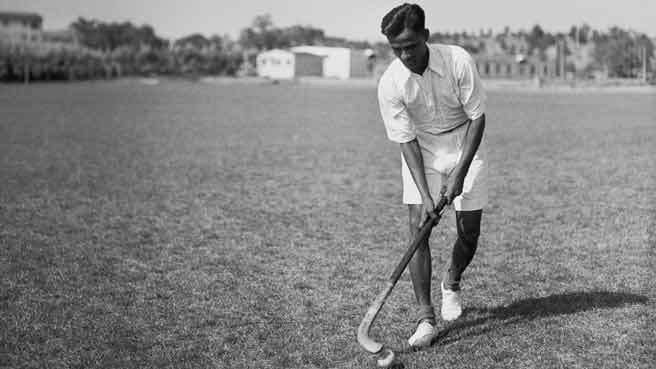 Dhyan Chand with his brilliance in the stick work had earned India three Olympic gold medals in the years 1928, 1932 and 1936. Witnessing his exceptional performance in the Berlin Olympics 1936, Adolf Hitler became a fan of his game and offered him German citizenship along with the rank of Colonel in the military. The Wizard politely declined. A tube station in London has been named after Dhyan Chand! Also, a turf pitch at the Indian Gymkhana Club in London is also named after him. The fear of Dhyan Chand’s marvelous game play forced the officials in Netherlands to break his hockey stick to check if there was a magnet inside. What were the Dutch even thinking? When Dhyan Chand was unable to score during a match, he argued with the match referee regarding the measurement of the goal post. To everybody’s amazement, it was found that the width of the goal post was less than that of international standards! To honor Dhyan Chand, the residents of Vienna, Austria have set up a statue with four hands and four hockey sticks, depicting his mastery in the game. In the 1932 Summer Olympics, India beat USA 24-1 and Japan 11-1. Dhyan Chand scored 12 goals while his brother Roop Singh netted 13 out of the 35 goals India scored. This led to them being dubbed the 'hockey twins'. A family that scores together, stays together! 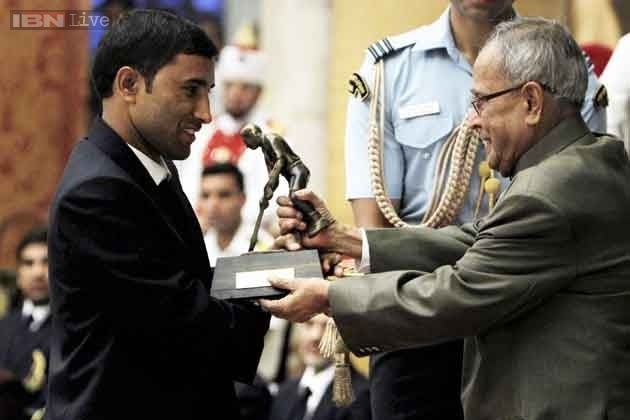 Under his name, Dhyan Chand Award is given by the Ministry Of Youth Affairs and Sports, Govt. Of India for lifetime achievement in the field of sports and games. To honor the greatest the hockey player, the National Hockey Stadium in Delhi was renamed as Dhyan Chand National Stadium in 2002. Mr. Chand is the definition of greatness!